Some residents of Fukushima city believe the government is neglecting radiation risks and are trying to alleviate the damage on their own. Meanwhile the UN watchdog is to report on the crisis in Vienna on Monday. Delegates from most of the 150 member states of the International Atomic Energy Agency have convened for the five-day-long forum in the Austrian capital. On their agenda is tightening safety regulations for nuclear reactors. The IAEA is due to present a full report on conditions in earthquake- and tsunami-hit Japan. 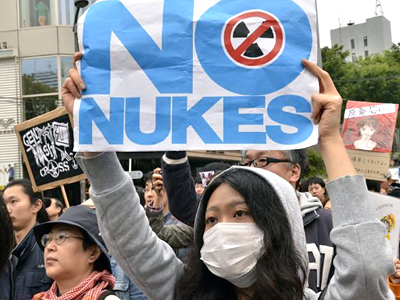 The review is expected to criticize Japan for underestimating the risks facing the Fukushima plant, and for a slow government response to the disaster. One of the underestimated risks is that of radioactive contamination of Fukushima city – the prefecture capital with almost 300,000 residents, located 63 km northwest of the damaged nuclear plant – some nuclear scientists say. 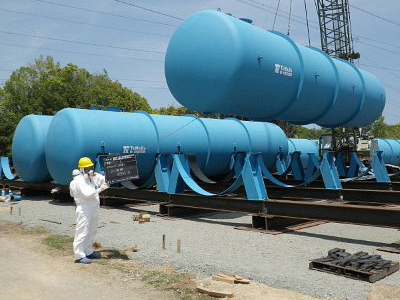 “I am in charge of the group of radiation detection and survey from Fukushima University. We are now thinking [that] the evacuation protocol and process set up by the Japanese government is not enough, and [I] myself think I should evacuate from this area, but because of my job at the university I can’t. My family and many of my friends’ families are evacuating,” says Assistant Professor Hiroshi Nakasatomi. Officially Fukushima city is in a safe area, 80 kilometers from the Daichi plant reactor No 1, and a full 60 kilometers outside the excluded danger zone, but still radiation levels here are much higher than normal. Levels of radiation in Fukushima city can vary greatly from spot to spot, says RT reporter Sean Thomas. “Now the Geiger counter is reading about 3.29 microroentgens which is about 30 times what is more than the accepted level, but if you come down here to the soil and the mud has collected the radiation, it quickly jumps up and it is still climbing. Earlier we got a reading of 99 microroentgens, which is about 1,000 times the accepted level of radiation,” he demonstrated. 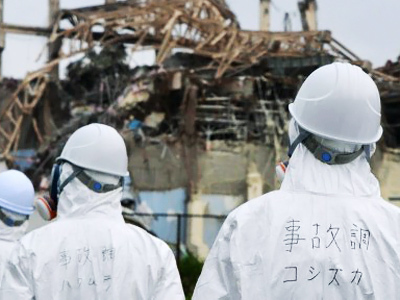 But in order to claim that Fukushima is truly safe from leaking radiation, the Japanese government has had to be creative with numbers, activists say. “What the government did was change the radioactivity control level, the standard levels from 1 millisieverts per year to 20 millisieverts per year. That is, 20 times looser [than] the standards before the accident and now they raised the standards so they can say it was as safe as before, but actually the standards have changed,” nuclear sociologist Komae Hosokawa told RT. The new higher levels mean that Fukushima can be classified as being outside the exclusion zone. Some say that evacuating the city would simply be impractical, given the huge numbers of people affected. To try and mitigate the circumstances to some degree, a group of scientists have teamed up to find simple ways to reduce the radiation levels. “We are just trying to do a pilot project to do the decontamination work by ourselves and we are not using any special equipment, we are using normal shovels and scoops. We just dig contaminated top soil and put it in bags. We also use synthetic glue, which is not a special thing. It is on sale at the supermarket. Here in Japan we use it for cleaning purposes. 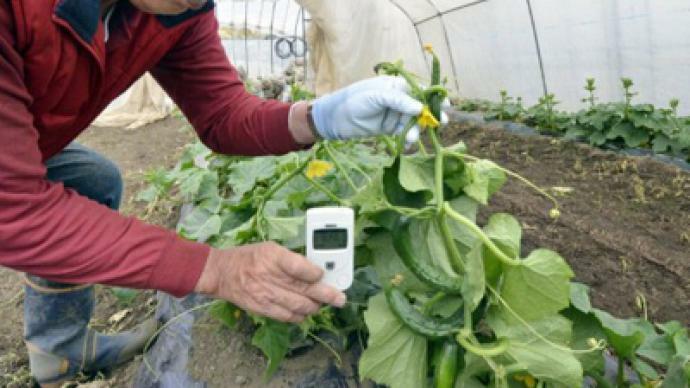 So what we mean is we use only equipment accessible by local people, usual people here and we are trying to find out what we can use best using everyday equipment,” Komae Hosokawa explains. It is a small effort to bring some security to a community facing a scary and uncertain future.